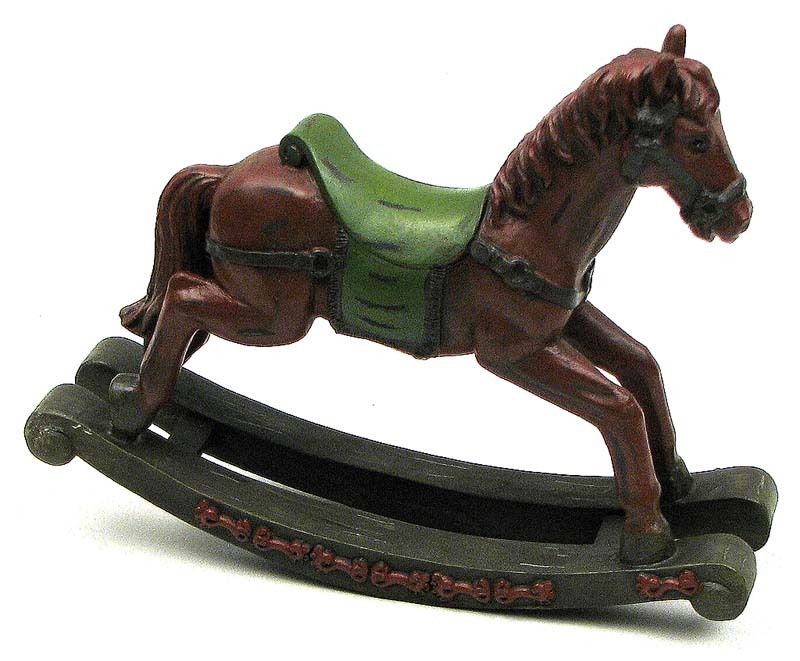 Measures: Wooden look, resin rocking horse. Great home décor for any childs room, lodge, or office. Measues 9"W x 7 1/4"H x 2 5/8"D.